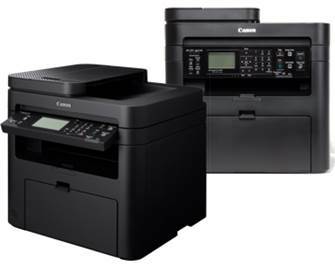 Canon today announced the availability of six imageCLASS A4 monochrome laser multi-function printers (MFPs) in Malaysia. The latest lineup of MFPs suited for Small Office Home Office (SOHO) and Small Medium Enterprises (SMEs) is set to drive workplace productivity and heighten user convenience with its efficiency-enhancing and easy-to-use features. “The diverse environments of small offices ranging from single-user SOHO to multi-user workgroups in SMEs present different needs and priorities,” said Jeffrey Kung, Head of Consumer Imaging & Information Division of Canon Marketing (Malaysia) Sdn. Bhd. Besides providing seamless network connectivity, the MFPs address the need for convenient mobile printing by supporting a wide array of mobile solutions across various platforms, ranging from the Canon PRINT Business app (available on iOS and Android), Mopria® Print Service, Apple® AirPrintTM to Google Cloud Print™, benefiting users in the Bring Your Own Device (BYOD) work environments.